We spent 2 weeks at this lovely property and had a wonderful, very relaxing holiday. The location is perfect, a couple of minutes' stroll from all the shops and restaurants in the village centre, five minutes or so from the harbour front. Although set on a main road, it was very quiet and the little terrace very peaceful. The property is clean and modern inside, with a great shower, and represents excellent value for money. The bed was a little firm for our tastes but the sheets were lovely and soft and changed regularly. The owner is charming, very helpful and quick to respond to queries. He collected us from the port, waiting patiently for ages when I got the ferry times confused! 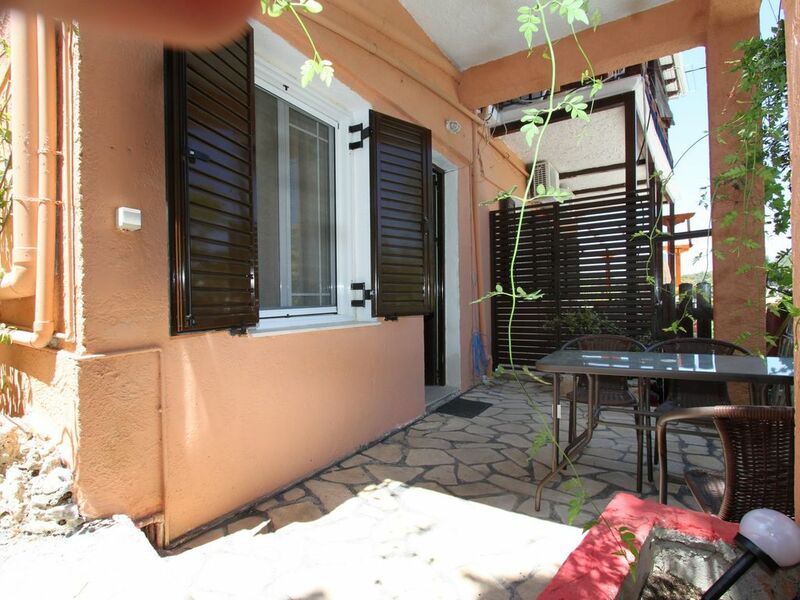 Paxos is a beautiful island and this apartment is the ideal place from which to explore. So many excellent restaurants, it would be hard to pick a favourite. Very pleased we chose to stay in Gaios as it has a nice, laid-back, easy vibe with plenty of choice for drinks and dinner. Would definitely like to return and stay here again. Great appartment, very clean. Great hosts as well.